May 12, 2014, Jerome, Ariz. – Under the new ownership of Arizona vintner Maynard James Keenan, the Arizona Stronghold vineyard in southern Arizona will be renamed the Buhl Memorial Vineyard. Earlier this month, Keenan became the sole owner of the historic, award-winning 70-acre vineyard. The name change honors Albert K. Buhl, husband, father, cross country and track coach, and a trailblazer in Arizona winegrowing. Buhl, who died last November, brought a number of new varietals to the state including pinot gris and malvasia bianca to his Dos Cabezas Vineyard. 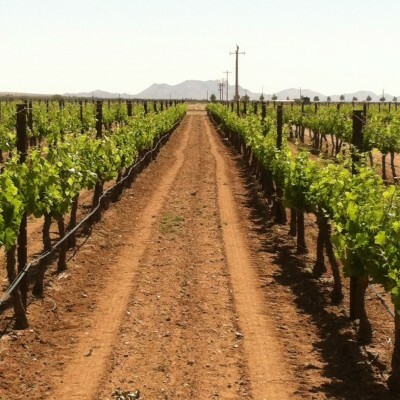 The site was the second large-scale vineyard to be established in Arizona following the repeal of Prohibition in 1933, and became the cornerstone of wine industry development in the Kansas Settlement of Cochise County. Buhl purchased the original 40-acre plot in 1990. The land was then sold to Keenan and Terrence Glomski and family in 2006 under the Arizona Stronghold banner but has reverted exclusively to Keenan. The amicable split agreement gives the Glomski family the rights to the Arizona Stronghold name, facility and sister vineyard in Graham County.